I wonder as I wander, hull-down on Bahia de Banderas, with whales working over yonder and sails filled with the mild, warm breeze that comes up like clockwork every day, why would anyone bother going to Key West? I do not wonder, as I read accounts of something very different on the contra costa of the Pacific, that the round-the-world Clipper Race fleet is freezing early-on in the long voyage from Qingdao, China to San Francisco, California. Something like a year ago the Volvo racers doglegged north to Qingdao in the winter and came away from the experience with a reduced fleet. The Clipper fleet was also down by one when they made Qingdao, and crew members from the wrecked Cork are now distributed among the remaining nine boats, including the entry named California, which at last check was leading the way toward its namesake destination. This is not exactly “the season” in the North Pacific, and we speak of an ocean that is big enough to discourage casual transit. It’s not as though California sailors run a circuit with their Hong Kong and Singapore counterparts, the way boats rotate from Caribbean to Med. 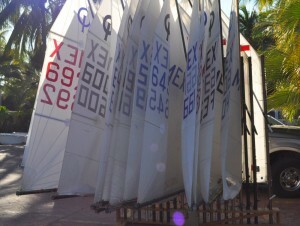 Crews of 17 per boat. 5400 miles to go. ETA at the Golden Gate, 35 days. It’s been a winter in the North Pacific. I hope spring arrives ahead of the fleet. Thus we have San Francisco Bay lined up in spite of itself to host the Clipper fleet, and we have a MEXORC with 38 boats or so, fewer than it could happily accommodate. But—I’ve yet to track these guys down—Mojo was trailered down from Houston for this event. Texas popped the cherry, so to speak, returning to the question that opened this conversation. Now I must find out (and report, vs. Key West) how that was for them. 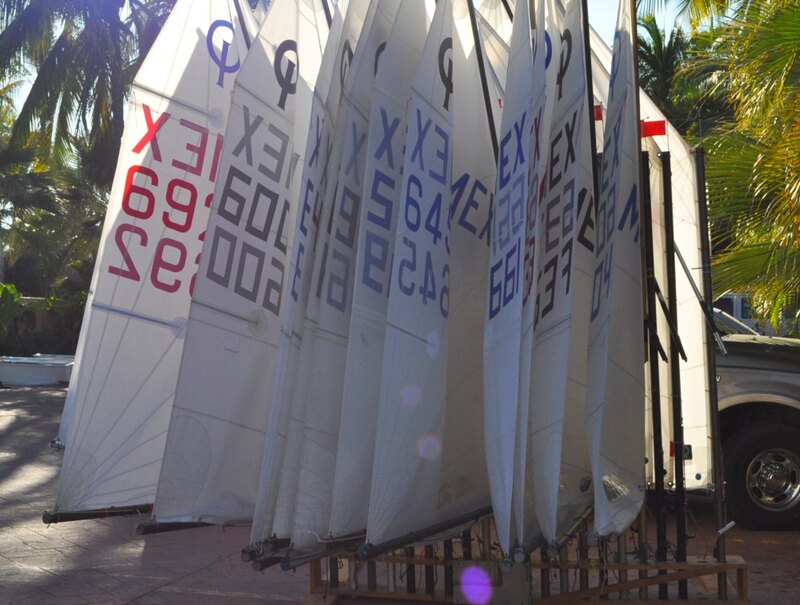 Meantime, life goes on around La Cruz de Huanacaxtle, headquarters for Regata Copa México and its big-boat component, MEXORC, where today was an off-day from racing, but Mexico’s Olympic Laser rep, Tania Elias, arrived (whipped) (WHIPPED!) from a solo, escorted-but-unassisted crossing from Cabo San Lucas in a Laser. I’m supposed to talk to her on Thursday, if she wakes up, to get the straight details, so I’ll let it wait till then. But you have to admire the sheer pluck. Tania had proposed to do it unescorted, but cooler heads laid down the law. Looking back to MEXORC’s pursuit race on Tuesday, I can share that the seabreeze came up (like clockwork) to 16 knots at the start and 19-20 at the weather mark. That was Peligroso in the crew shot up top. 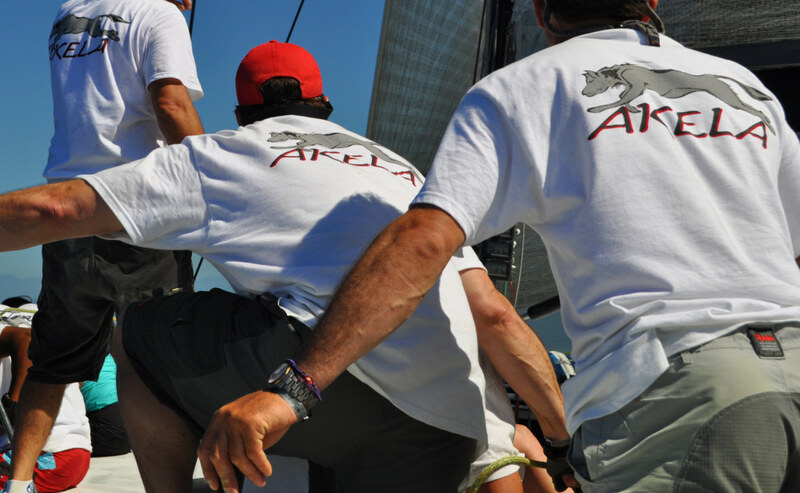 Akela is in contention for the MEXORC title, with racing continuing through Saturday. 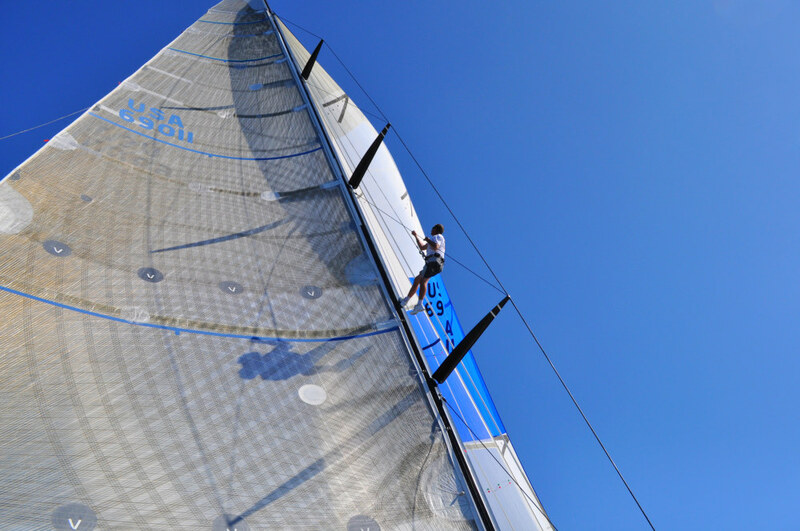 Also in the hunt is the TP 52, Flash, owned by Mark Jones and Mark Howe. Arriving at Las Caletas looked like this (have I mentioned in the last 24 hours that this is one of the best places in the world to sail?) . . .
Crews panga’d ashore for the evening party and dinner. 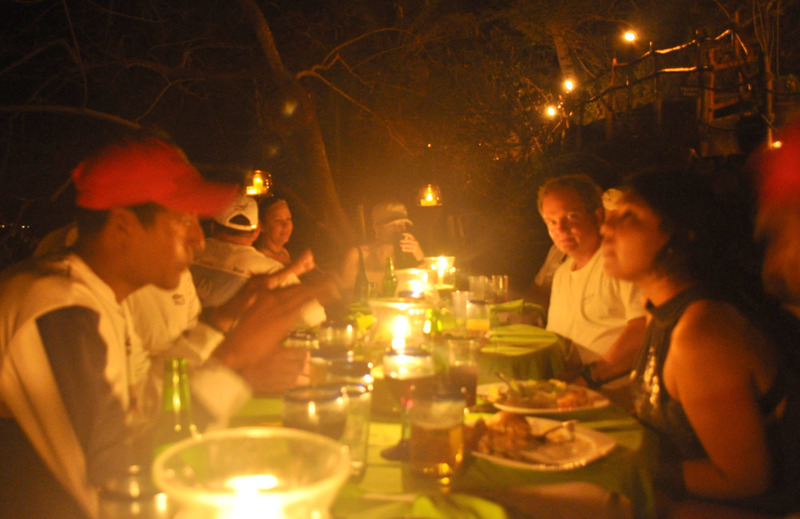 With no electric lights at all, and torches and candles lighting the trails, dinner looked like this and was as good as it looked . . .
It’s still back. True, they didn’t get quite the dredged depth promised at Marina Riviera Nayarit, but they got enough that only Akela is moored out, and being tucked into the northeast corner of Bahia de Banderas, La Cruz is, unlike Nuevo Vallarta, an OK place to be “outside.” Lots of cruisers are outside by choice. The downer in my tale is that John MacLaurin’s shiny-new, 69-foot Pendragon VI sat out the pursuit race, after dropping out of San Diego-Puerto Vallarta and then attempting a comeback. I figure MacLaurin, who is a consummate veteran of the custom-yacht game, will work through the issues in his new Davidson design. But for now, she just plain doesn’t float on her lines. Considering how much good energy the man has put into the sport, and how few people have splashed a new custom raceboat in the last year, it’s not a good look. P.S. Eduardo Saenz has donated Quintessence, dismasted in the opening race last Sunday, to the navy, the Marina-Armada, for a training vessel. See you in two years, Eduardo? And as things go, I could not stay reliably online to accomplish this post from my (in other respects) high-end hotel, so I taxi’d down the way to the Vallarta Yacht Club, which has reliable internet access. And a junior program. As the day wound down, the sails caught the light thus . . .